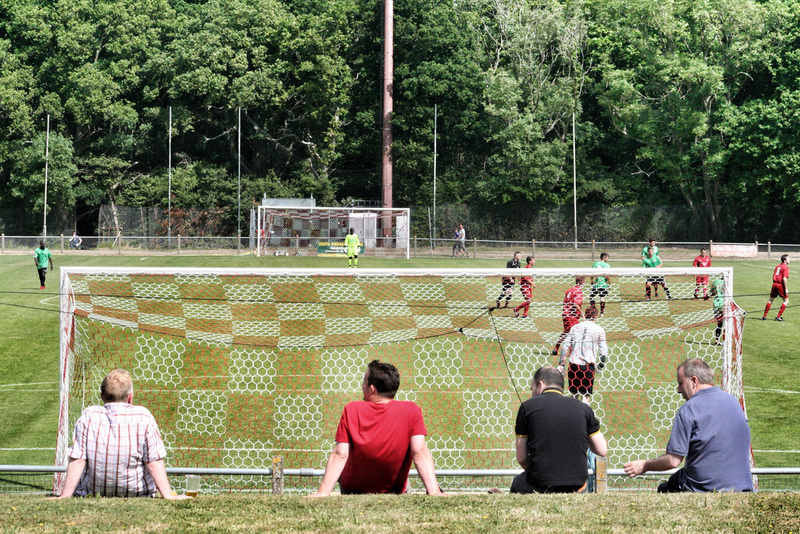 Ever wondered the rationale behind who your team play in a pre-season friendly? 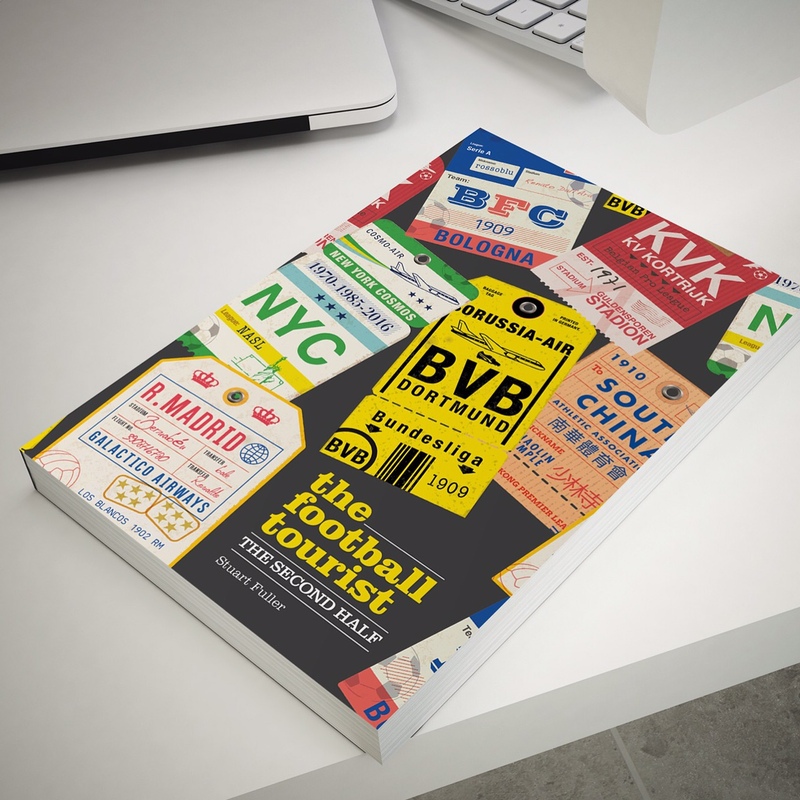 Well, putting the money aside from the likes of the International Champions Cup, Audi Cup or the Emirates Cup, you may be surprised to hear there is some method in the madness of arranging these pre-season games. I only found this out when I started suggesting potential opponents to our manager and was surprised by some of the feedback. So, based on the last month or so, here is the undefinitive guide to pre-season friendlies. 1. To make as much money as possible – These will be games on a Saturday, ideally, at home against either a team from a much higher division or a local rival in another division (not necessarily higher). These games are the cream on the top of the Non-League milk bottles, the ones that keep you going through the winter when cash is tight and home games fall foul to the conditions. For most Non-League clubs the chance that an Arsenal, Chelsea, Man United or a West Ham (one of the big teams in other words) would ever consider playing a friendly against you, and if they did even contemplating bringing a first team squad get rarer every season. Gone are the days when most of the team that plays in these games would have first team experience. Go and watch an Arsenal XI these days and you will see players who will never even get a sniff of the bench for League Cup 3rd round games. Anyone who has a first team future or a resale value will be with the squad on their pre-season tour of Dubai/Hong Kong/Beverly Hills. You can try to seduce them by playing on their conscious for something like a testimonial for someone who has been at the club for 75 years or that you want to commemorate switching on your new floodlights then they may just do something. Otherwise it is all about getting in quick – most of these big games are arranged 6-12 months before they ever take place. It’s not just the fans that flock to these games, but sponsors and commercial opportunities. Time it right and you may also get some major media interest such as the first game in charge for a new manager (the opposition rather than yours). 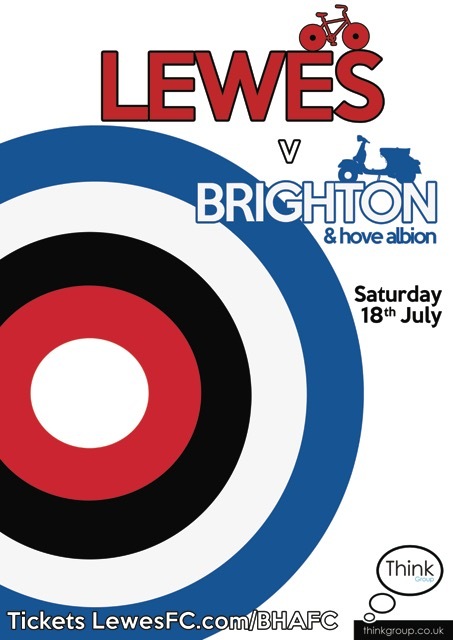 For Lewes we have two games that generate the interest to bring in the crowds – Brighton & Hove Albion and Eastbourne Borough. No real surprises about the former – sitting right on our doorstep and many fans having an allegiance to both clubs, this will be the third year in a row we have hosted The Seagulls. Last season was Sami Hyypia’s first game in charge so there was the curiosity value as well which helped towards a 2,300 sell-out and the attendance of Sky Sports News. Eastbourne Borough is a rivalry that grew out of the relative successes of both sides as they rose up the leagues a decade ago, culminating in both teams reaching the Conference Premier in 2009. Games these days aren’t as passionate as they were on Boxing Day back then but they still pull in a four-figure crowd. Both will be visiting the Pan this season as part of our pre-season programme. 2. To show your benevolent side – As point 1 but this time you are deemed the bigger side and you head off into the county leagues to play someone. Most clubs at our level will look to play three or four of these in the pre-season, testing out various new formations. Expect to see your second or third choice goal keeper used in these games (or in most Non-League team’s cases the Under21’s and Under18’s keeper). The away fans like the opportunity to visit grounds/pubs we wouldn’t normally go to and quite often there is local interest from players where this may be their local club, or even fans. 3. 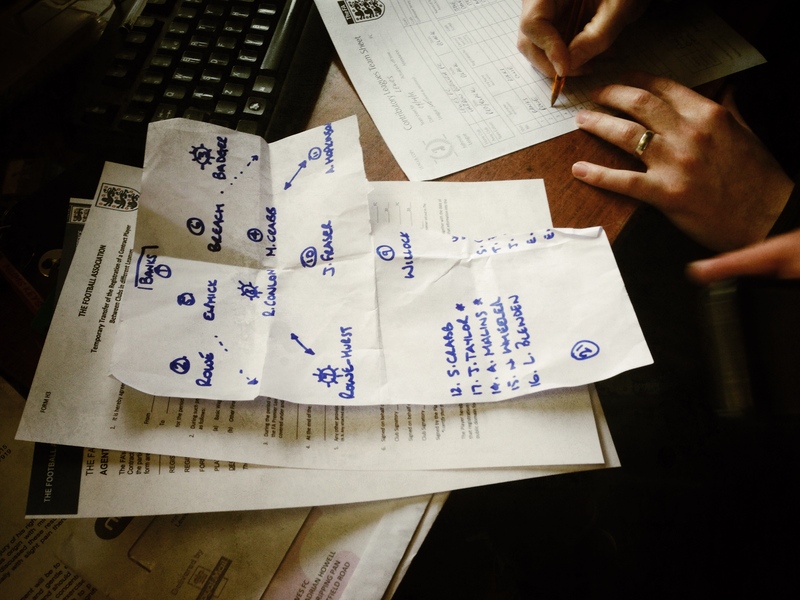 To test your squad/tactics – Sometimes you will see a pre-season game that will look strange on paper. Why would we be playing a team who simply lump the ball long to an ogre of a centre-forward. How can that possibly help? What better way to test whether your new centre-back pairing can handle the aerial threat of certain teams in your division (no names but they come from Essex), or whether your new 2-3-5 formation will work by playing someone who you should score double figures against. This is often known as the cannon-fodder strategy, similar to the way a boxer will use a sparring partner. What fans have to remember here is that you may well lose the battle so that you can win the war. In other words, you may end up getting beaten (or vice-versa beating a team you wouldn’t normally expect to) but you will have found out if one specific element of your preparation has worked or not. It is also at these games that you can expect an appearance from that chap A Triallist. That’s always good fun to see who in the crowd can recognise him. The issue comes when you have two of them in the squad for a game – do you call the second one B Triallist or AA Triallist or A Test? Once in a while there are also the very strange games that seem to serve no purpose at all. A few years ago Lewes hosted Essex United FC, which was essentially a few members of the cast of TOWIE and some production crew. Ralph Little probably played too – he seems to play for a different team every day, billed as “star of The Royal Family”. Mark Wright (the “actor” rather than the Ex-Southampton and Liverpool centre-back) played in the game and the hope was to draw a crowd of screaming teenagers to fawn over him. 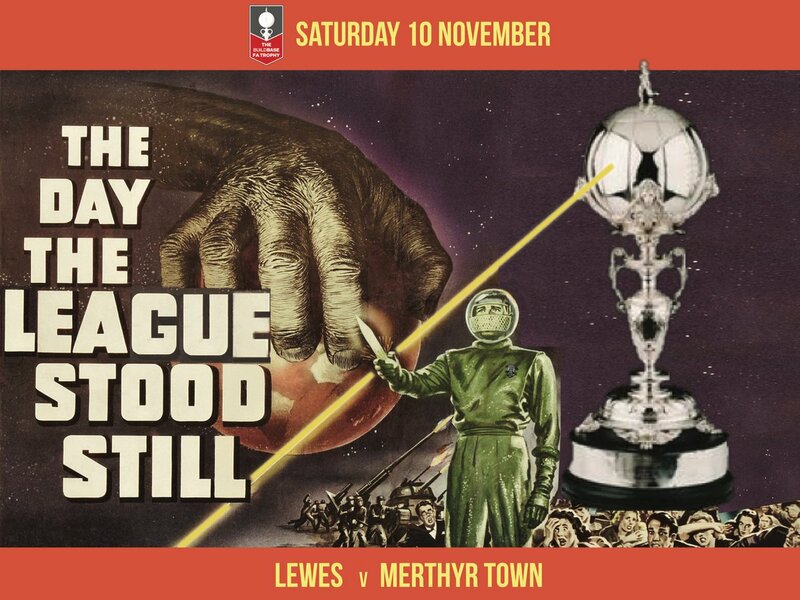 It didn’t work, and Lewes could only manage a 1-1 draw against a team of thespian in front of a few hundred people. Hardly the sell out crowd that our manager at the time had promised. There may also be the hastily-arranged “Behind Closed Doors” game that fans sometimes never hear about. These tend to be arranged to try out a few new players who you don’t necessarily want to announce you have signed just yet, or you could have players coming back from long-term injury and you don’t yet want to offer them a deal “just in case”. Of course, you have to remember that age-old rule of “never play a pre-season game against a team from your own division”. I still do not understand this wives tale. Why wouldn’t you play someone who you could potentially play in a few weeks? This of course goes out of the window if you are playing in a pre-season tournament on the other side of the world (i.e for lots of cash) such as Man Utd playing Liverpool in the final of the ICC last season, or those bizarre games between Chelsea and Man City last year at Yankee Stadium in New York. This entry was posted in Lewes FC, Non league football, Rymans League, Rymans Premier and tagged Lewes FC, Non League football, Pre-season friendlies. Bookmark the permalink.